As you might have been able to tell from reading my blog, I’m a huge lover of photography. And in 2016 I made it my mission to capture as many moments as possible. I know for a lot of people, and the world for that matter, 2016 wasn’t the best. However, for me personally it was one of the best years I’ve had. Don’t get me wrong, there was still some rough patches, but overall it was a positive year where I managed to accomplish most of my goals and have a fab time. I’d kept meaning to get the photos I’d taken over the year printed off, but it was something that wasn’t high on my list of priorities. But when Printiki* got in touch asking if I’d like to get some prints from their site, of course I had to take up on that offer. Not only do they offer prints, but books and posters as well which I think is great for gifts. They have different sized prints to choose from, I went for the square medium ones as I think they’re easiest to display. I opted for white boarders* but you can choose from white, black, grey or none at all. They even have the vintage polaroid style as well. 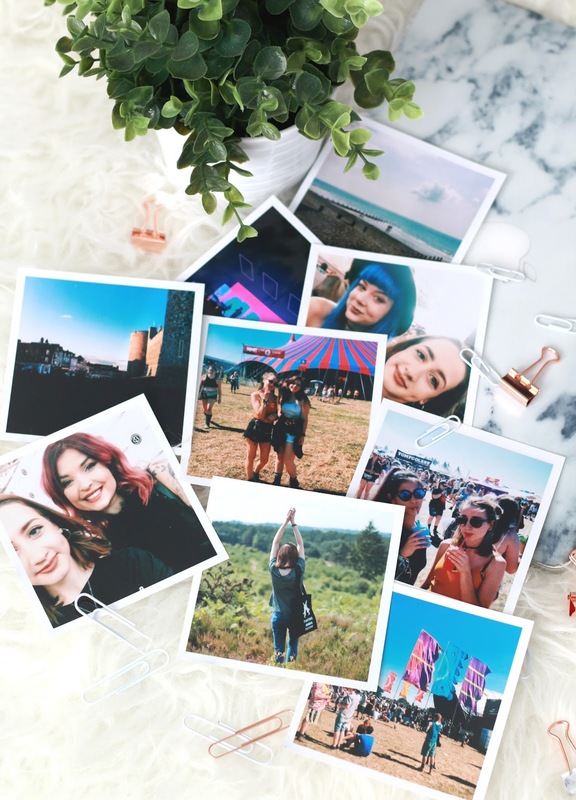 As for the prints I chose, I basically went through my camera roll from the beginning of 2016 right through to the end, and picked out my best memories. This consisted of going to Windsor with some of my friends, Reading Festival, Beautycon (spot the photos of me and Helen, and me and Zoe). Alsoooo my first ever trip to Brighton, various parties with friends etc. You get the picture (no pun intended) haha. A lot of the photos I edited on VSCO cam beforehand, to give them a more colourful/vintage look, something I’d recommend doing! If I’d chosen the polaroid style, I think I would have added some captions to some but I do like the way all of these turned out. The other good thing about Printiki, is how cheap it is for the prints. 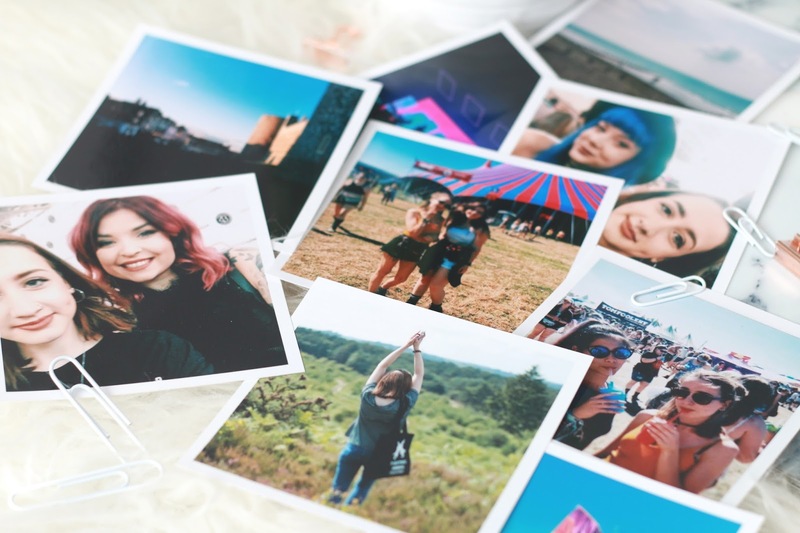 20 prints cost you £4.50, hardly breaking the bank. I’m honestly so happy with these, and I’m chuffed that I’ve finally got my best moments of 2016 printed out. Plus they look so nice hung up on my little string above my desk, super cute! 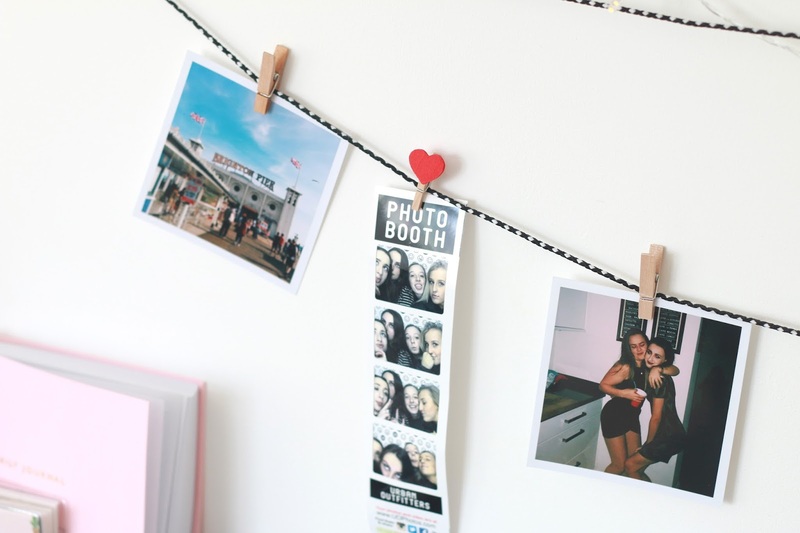 Ooh, and for cute pictures, check out their Instagram – @printiki_com. Have you ever heard of Printiki?